In keeping with the recommendations of the United States Secret Service in their July 2018 report, Enhancing School Safety Using a Threat Assessment Model, the Snowline Joint Unified School District has established a multidisciplinary threat assessment team, consisting of school police officers, counselors, psychologists, and other specifically-trained district personnel. 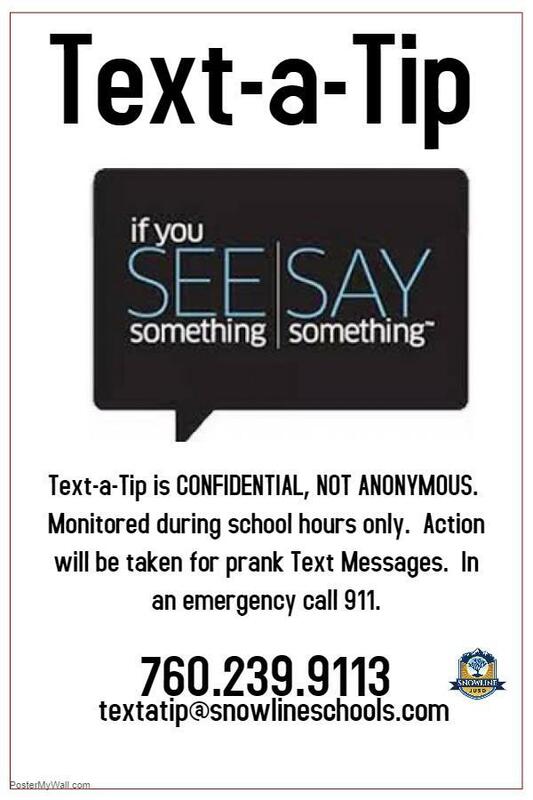 Upon receiving a tip or report of a threat of violence from a student or other individual, a team of these employees will be assigned to question the involved parties and investigate the nature and credibility of the threat. Based on that assessment, various actions can be taken to mitigate or reduce the threat, if it is found to be credible. 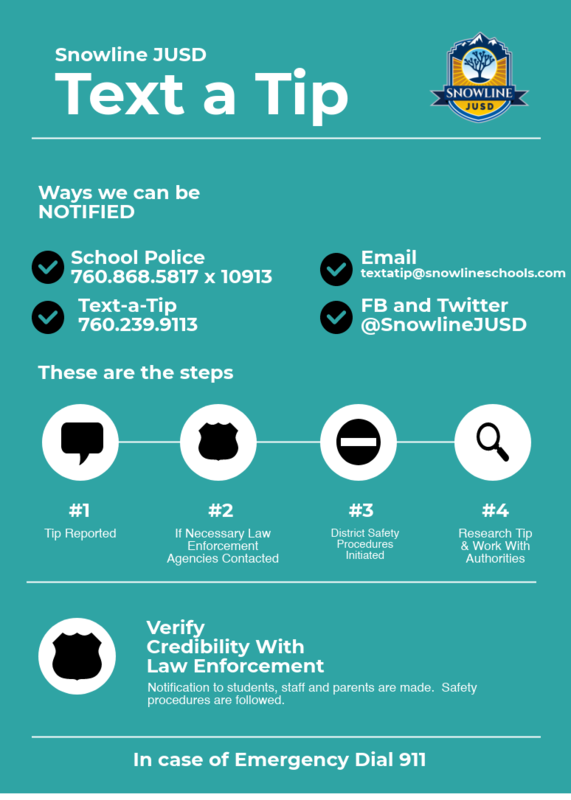 Snowline Joint Unified School District encourages parents and students to report any threat or perceived threat to any school or facility of the District, using Text a Tip or any other forms of communication.